Every girl seems to be toting around the most coveted bag of the season- the Longchamp Le Pliage Néo or simply known here in Manila, Philippines as Longchamp Néo. Longchamp Le Pliage Néo reinvents the classic Le Pliage collection in a smarter and more contemporary design. New, high tech details give the collection a modern and trendy feel. Fashionable, urban, practical, and spacious. Le Pliage Néo handbags are perfect for women on the go. 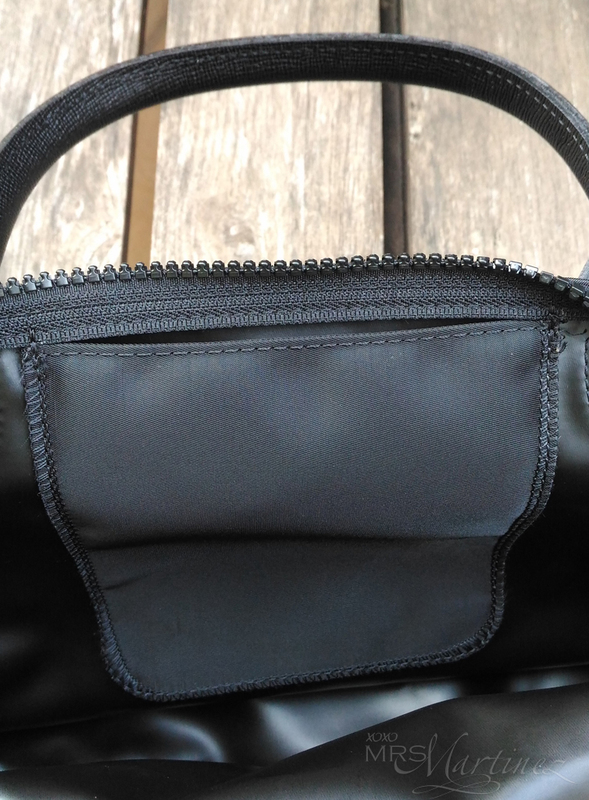 Care: To maintain your product, apply Longchamp colorless cream regularly with a soft brush to leather areas. In the past, I received a lot of email requests to feature the newest "it" bag. But lately, I noticed that there's far more email inquiries on how to spot a fake one. Lucky you, one of my sister's friends recently came back from Europe. And guess what she brought home with her? 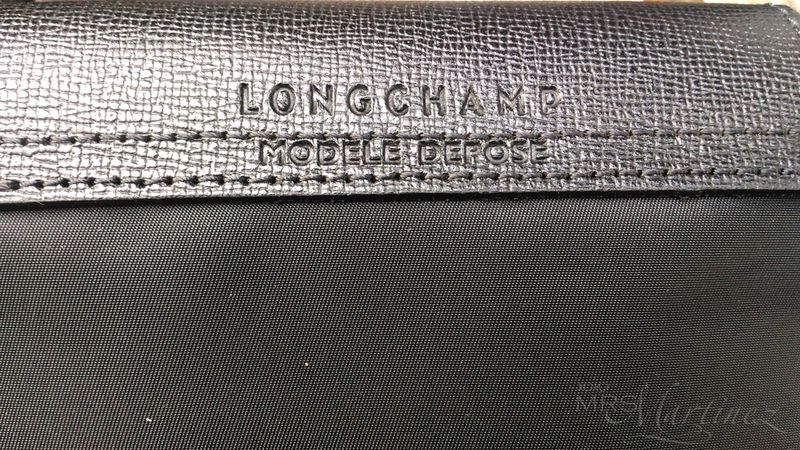 A small Longchamp Néo in Black (Ref: 1512578001) for my sister! Since my sister got her bag straight from Europe, the price is definitely cheaper by a few thousand pesos than the local distributor here in Manila (see price in the post above). 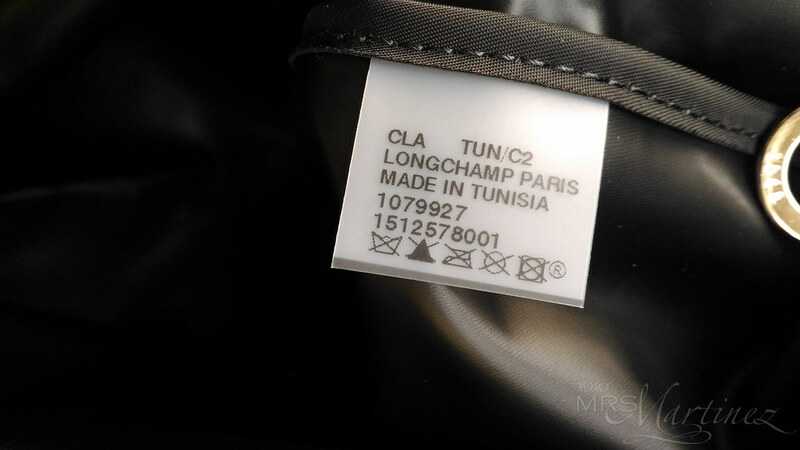 First things first, from what I have gathered at Longchamp United States (US) or the UK website, it featured Longchamp Le Pliage Néo in four colors only namely Navy, Ruby, Grey and Black. I am not sure if Longchamp distributors in Asian countries sell other colors aside from the four mentioned above. Kindly post a comment if you bought another color from any Asian Longchamp boutique (authorized dealer only). 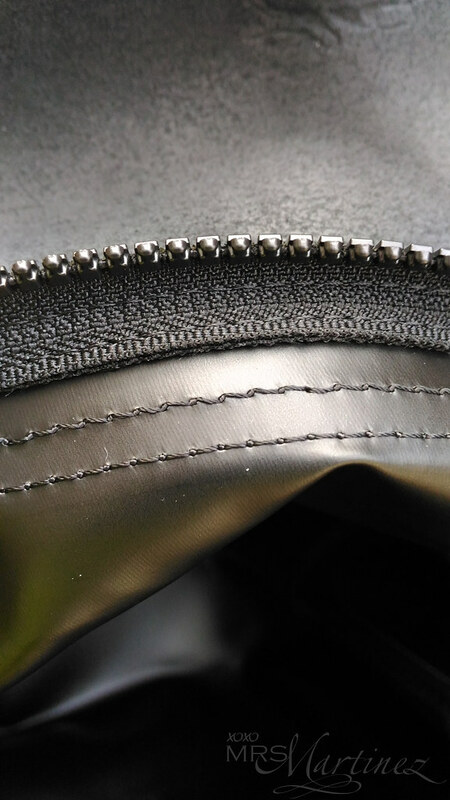 If you have read my previous entries on Longchamp (how to spot a fake LE PLIAGE and Original VS Fake), you must have figured it out by now that when you have the original bag on hand, the embossed jockey and horse have markings when viewed at the back (as shown in photo above). This handbag has a detachable shoulder strap so that it can be worn as a shoulder bag and is made from the Le Pliage Néo satin nylon canvas. 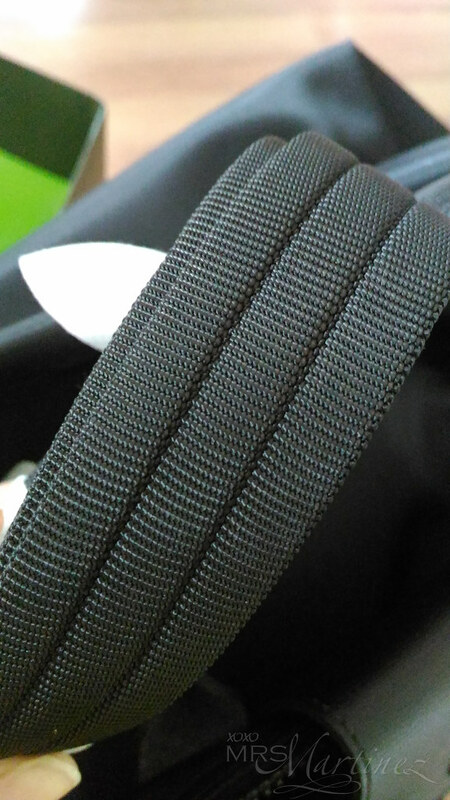 The strap is not adjustable. 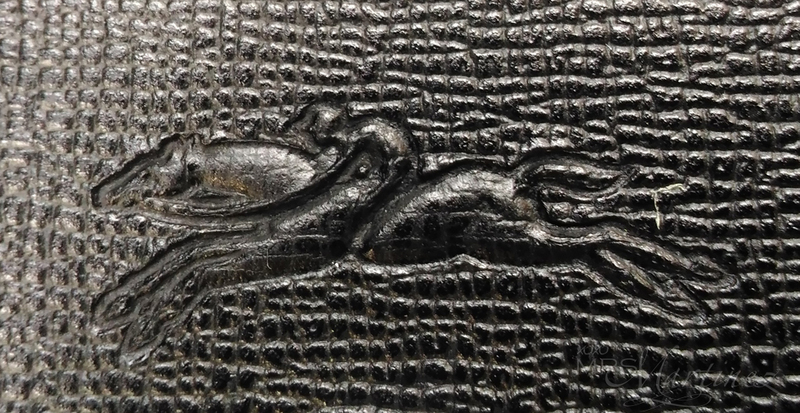 At both ends of the strap, Longchamp Néo buckle comes with jockey and horse engraving. 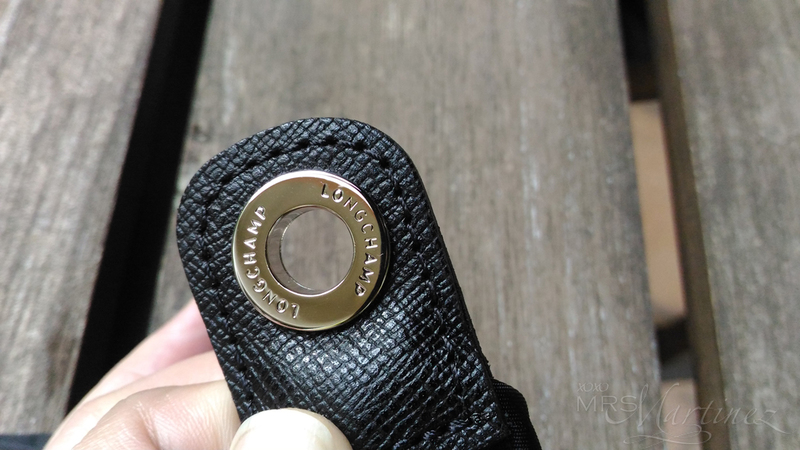 The part where you connect the buckle has a hole (O) with two (2) LONGCHAMP words circling it. The other side is plain (see photo below). Le Pliage Néo reinvents the Le Pliage line in a more urban, more contemporary style. 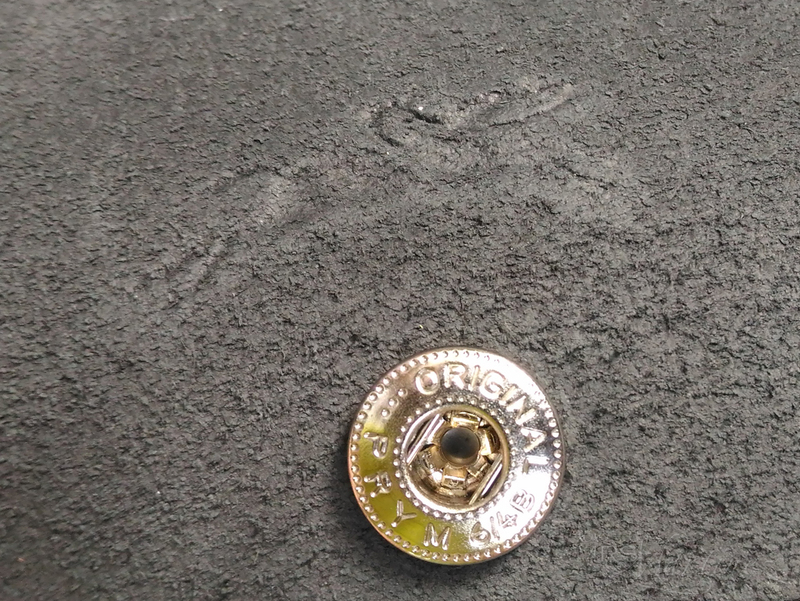 It features avant-garde materials and details. The "couture" style running shoe sets the tone and continues to turn heads. 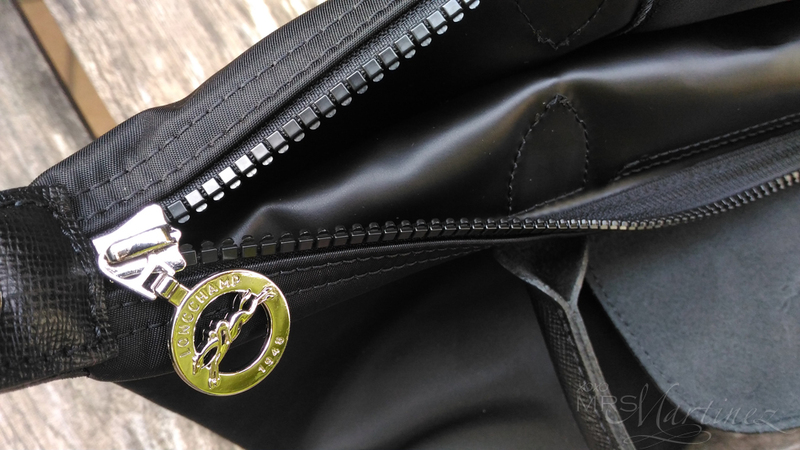 As with all Longchamp zipper pulls, it features the word Longchamp and the date 1948 along with the famous logo- jockey and horse. 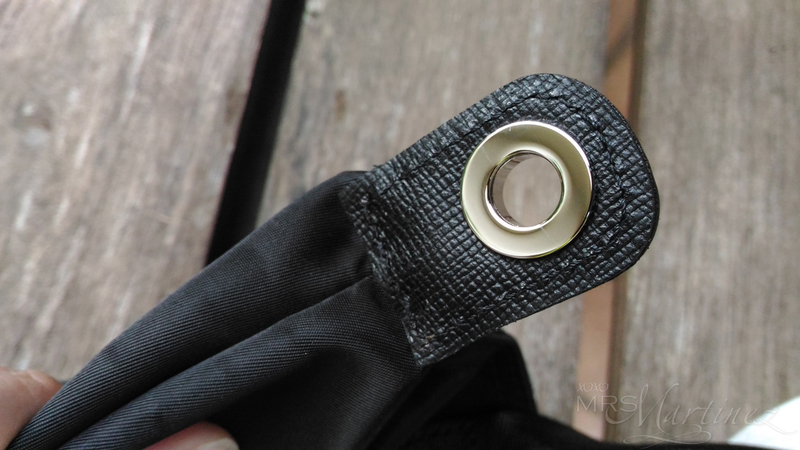 The zipper teeth are made from durable plastic. 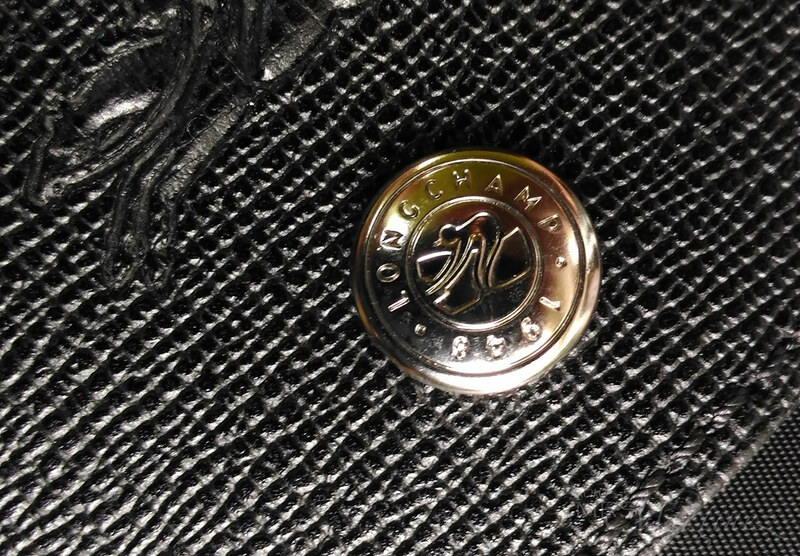 Longchamp's tradition of excellence originated over 65 years ago, in the aftermath of the Second World War. Today, the house works with the best tanneries in Europe and further afield to find the quality and variety of leather for which it is looking. Transformed each season into modern new designs by the expert hands of the house's craftsmen, these leathers give Longchamp bags a character unlike any other. 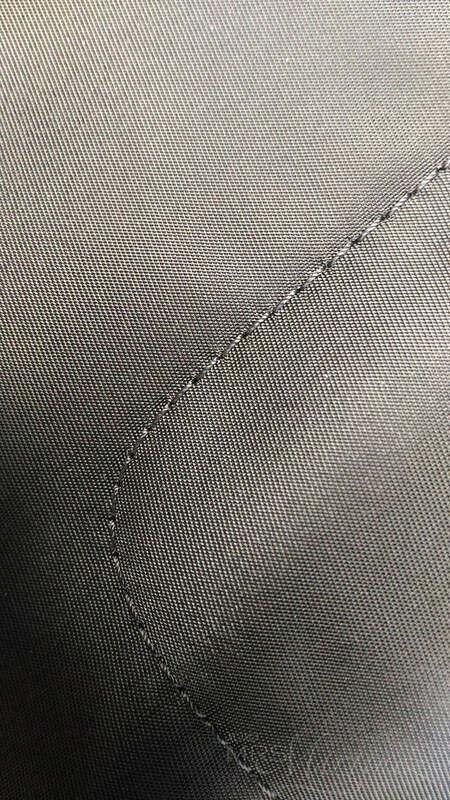 The lining and stitches matches the same color as the exterior shade. 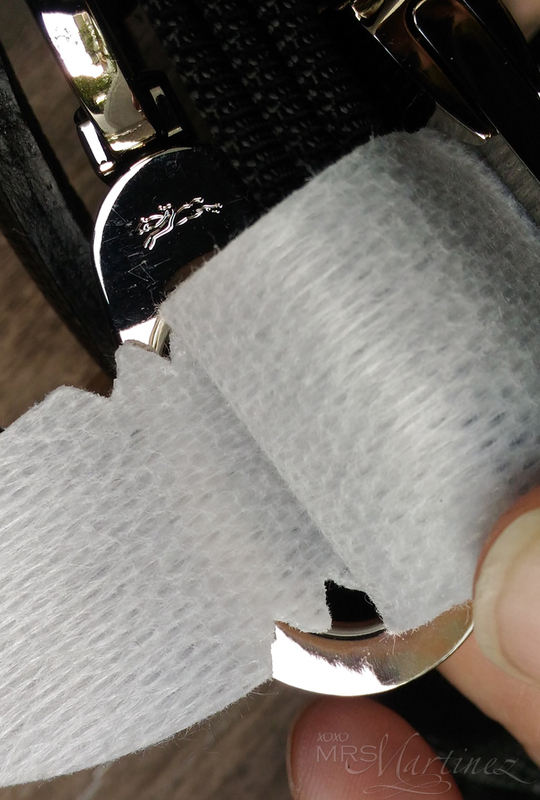 No loose thread found in the bag. Longchamp Le Pliage Néo exterior (back part of flap) feature the words LONGCHAMP (above the stitch) and MODELE DEPOSE (in between two stitches).